Ready for a wild adventure? 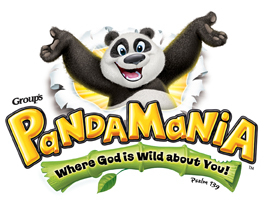 Location: St. Paul Lutheran Church, 2302 S. Presa St.
PandaMania fun begins at:6:30 p.m.
PandaMania fun ends at: 8:30 p.m.
REGISTER: Here, or at the church, or by calling the church office at 532-7341. Sunday, June 12, is “PENTECOST”... sometimes called the “birthday” of the Christian Church. It is the day we remember the coming of the Holy Spirit upon Jesus’ followers, as Jesus had promised, enabling them to be involved in the Lord’s mission to the world around them. It is that same Holy Spirit who also enables us at St. Paul to be Christ’s people together and to make a difference in the lives of people around us! It is a fitting time to also celebrate the CONFIRMATION of a number of youth from among us as they profess their faith in the Lord and their commitment to live for him. On Saturday, May 14, beginning at 9:00 a.m., St. Paul will host a community rummage sale. Over 40 vendors will be on site. Spaces available for $10. Call the church at 532-7341 to reserve a space or for more information. Tacos & drinks available. Free entry!